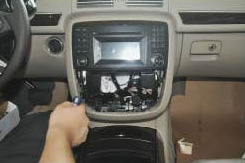 Replacing the factory radio with a new car stereo will not only improve your car interior environment but also offer you a totally different driving experience. If you are tired of your factory radio, it’s a great way to replace it. 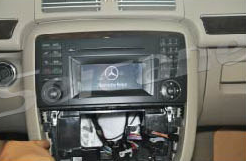 Please look at the picture below, it’s an appealing 2005-2012 Mercedes-Benz GL CLASS X164 car stereo after installation From Seicane. 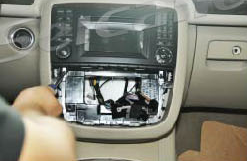 To install such a stereo is not quite difficult. If you have the same dashboard, you can take the detailed instruction below as a reference. 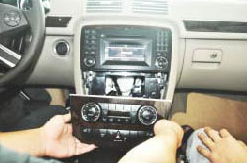 Turn on the new Seicane car stereo and have a comprehensive test if everything works well. 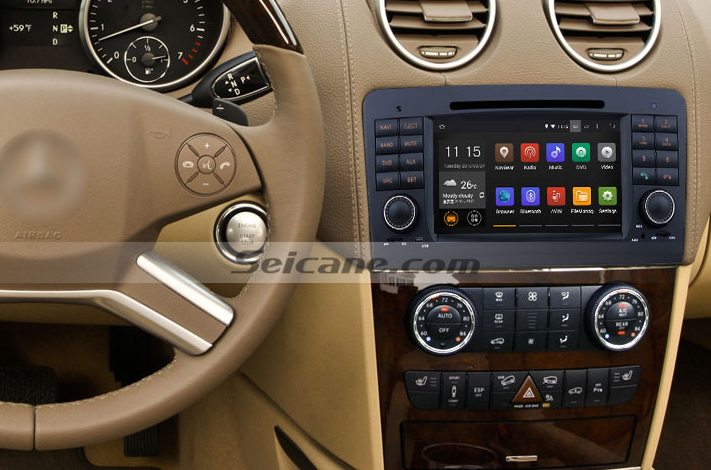 That’s all the installation guide for a 2005-2012 Mercedes-Benz GL CLASS X164 car stereo. If you can get some benefits from it. If you find it too hard for you to understand all the steps, you’d better ask a professional for help. If there is any question, you can turn to your dealer or a professional for help. This Mercedes-Benz GL CLASS X164 car stereo comes with a Bluetooth interface for you to sync with your compatible devices for enjoying music streaming and making and receiving hands-free calls through the integrated microphone to keep both you and your passengers safe. The built-in 3D GPS navigation system can provide the worldwide real-time traffic information for you to arrive at your destination with ease. Besides, an optic fiber decoder can also be supported by it. 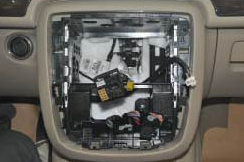 The decoder can make your factory car’s optic fiber and all the speakers still to work after installing this radio. It is just plug and play and easy to install. And the sound is in high quality after installation. 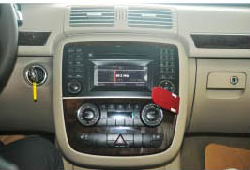 Get to a variety of locations with this Mercedes-Benz GL CLASS X164 car stereo, great fun will be always with you on all trips! Good luck to you!